Hello Friends!! 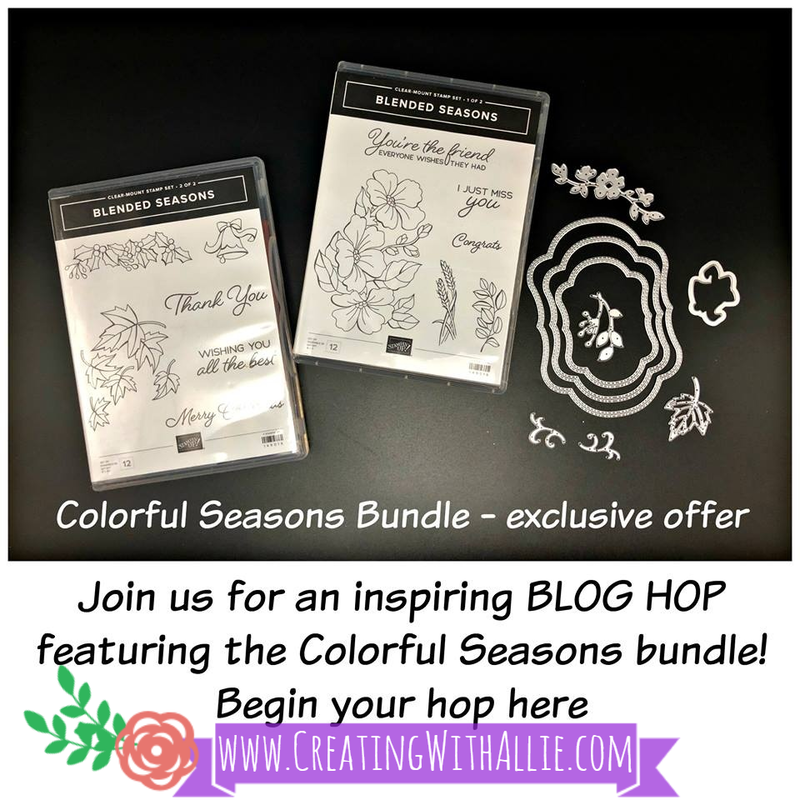 Today I am participating in the RemARKably Creative Blog Hop, where we will be showcasing projects using the Blended Seasons Bundle, so make sure you visit all the participating blogs. I am sure you will get a lot of inspirations from all the talented designers participating in this hop! Please note that the Blended Seasons Bundle is only available during August, and it is only while supply lasts! so make sure you get your own, as you will see that this set is very versatile! 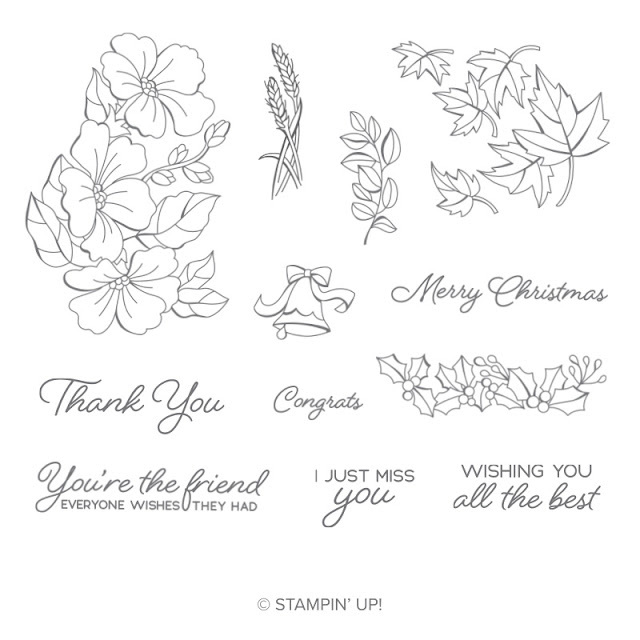 This set is perfect for different seasons like Spring and Fall, but also you can make cards for Wedding, Christmas, Thank you notes, Friendship, etc, so really, this set is a must have! no kidding, you will be using it a lot. 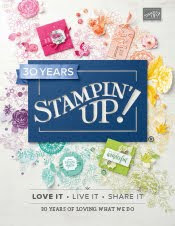 See below the stamp set!! 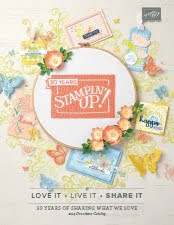 And as you can imagine this stamp set has coordinating dies!! Below you can see the Stitched Seasons thinlits set! Please look at the details of the label dies!! 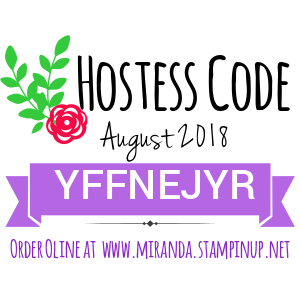 these make stitches on the cut out as well as on the negative area, so this makes this die set even more versatile..
And as part of this promotion Stampin' Up! 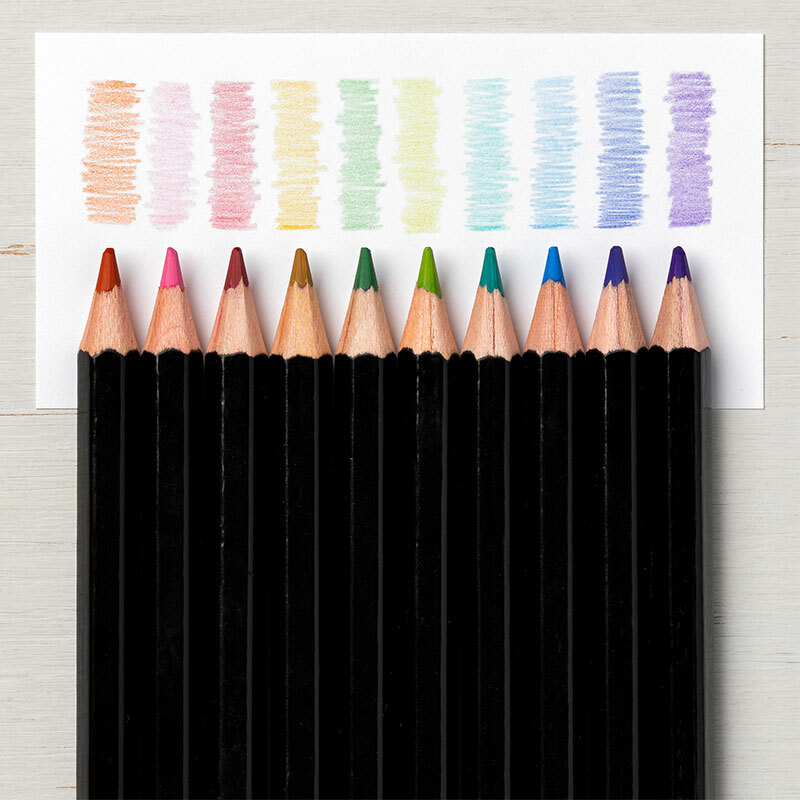 has released a second assortment of the Watercolor pencils!! If you like the watercolor pencils we have on our annual catalog, you will want to get this second assortment to complete your collection. Keep in mind that this new assortment has colors from the color revamp and we truly don't know if this new pack will be available later on.. so do not let it go! Here is the list of colors being included in the second assortment of watercolor pencils: Balmy Blue, Cajun Craze, Cherry Cobbler, Coastal Cabana, Crushed Curry, Flirty Flamingo, Garden Green, Gorgeous Grape, Granny Apply Green, Night of Navy. 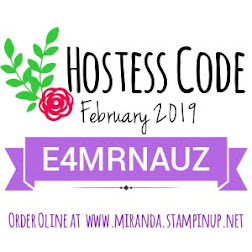 The card being featured today uses Cajun Craze cardstock, which I got to admit is not one of my favorite colors, however I really liked how this card turned out. I loved the idea of matting the card tone on tone. Did you notice the stitching on the labels?? These look so cute!! I think that the faux stitches are so trendy at this moment!! I just cannot have enough! The coloring was made with the watercolor pencils, and then of course I added a layer of Wink of Stella, cause why wouldn't you? seriously!! I love how this tool gives the extra shimmer on your project, making it pop up even more! The sentiment was stamped with Stazon ink on vellum, as this ink dries up very quickly. To glue the vellum piece I used a glue dot, and then I covered with the bow, which was also glued with a glue dot. This simple trick ensures that you don't see the adhesive on the vellum! 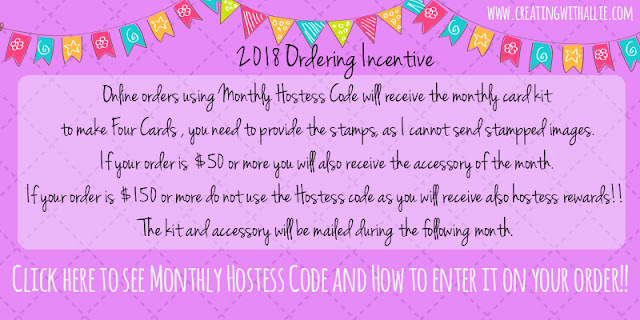 Thank you so much for stopping by today, please remember to visit all the blogs participating on this hop, I am sure you will get lots of inspirations using this fabulous bundle. You can see the full line up of blogs participating on this event..
Beautiful card. 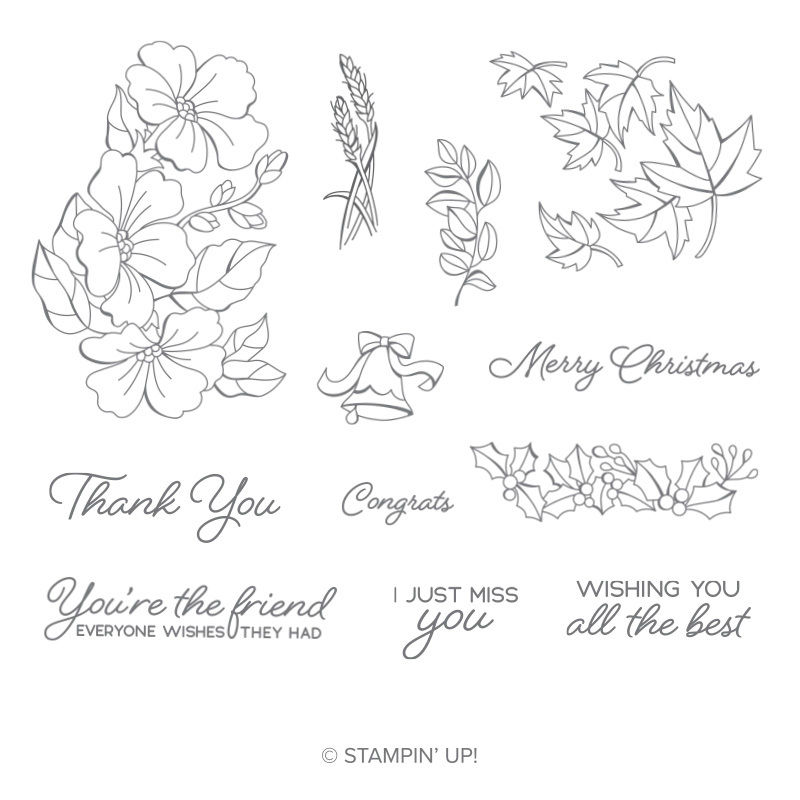 Your color selection for the card, and also the stamps is very nice. 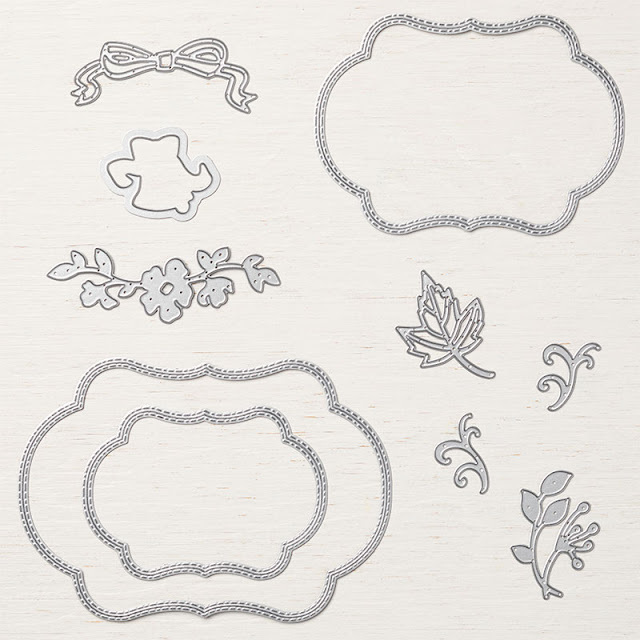 Love the ribbon, the vellum, sparkle! Very pretty! Great color combo, too! Great colouring of the leaves. I love the tone on tone background also.